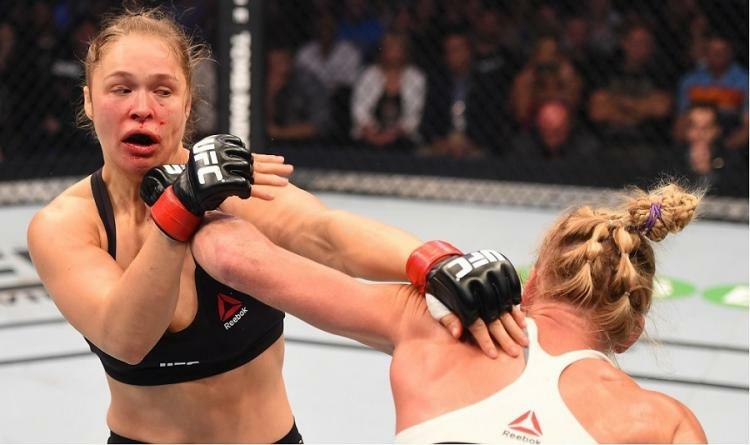 Mixed martial arts (MMA) has gone a long ways since the days of underground and unsanctioned fights where hair pulling and groin strikes were allowed. The following article is a countdown of the top 25 MMA fighters, regardless of weight, that has persevered and become the best of all time. Trying to decide the ranking for a fighter based on their latest win or any sort of “MMA math” does not always add up and tell the true story on who is the best fighter overall. Therefore, this list is MMA Life’s personal ranking after evaluating the different fighters that have graced the MMA world. Note: Many fighters fight past their prime and thus tarnish their record. Because eventually gets to everyone, we do not judge a fighter’s fights past their prime as important as fights before then. Other than getting submitted with a knee bar in her very first professional MMA fight, Cris has been on a tear with 17 wins and 1 no contest. Due to her fighting style and aggression, Cris is commonly considered the female version of Wanderlei Silva in the Women’s bantamweight division. 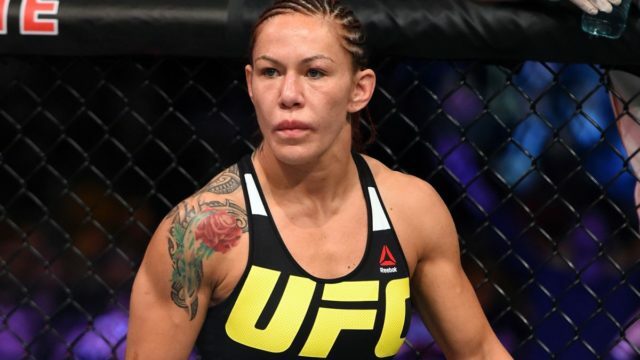 Cyborg has a never back down attitude and will constantly move forward towards her opponent. As soon as she smells blood, Cyborg will rush forward and throw a whirlwind of powerful strikes that is difficult for anybody to withstand. The way Cyborg has bullied and finished her opponents inside the cage has made it difficult for MMA organizations to find someone willing to fight her, much less actually beat her. Alistair is well-known for his technical striking and knockout power that comes from his Dutch kickboxing experience. Even though Alistair Overeem’s striking skills are remarkable and worth taking notice, people tend to forget about his submission ability as well. The number of submission finishes acquired by Alistair is almost equivalent to his knockout numbers. Unfortunately, one of the thing that has bugged him all his career is his “glass chin.” Even though he may be highly skilled and naturally gifted with many aspects of fighting, his lower threshold for absorbing shots took its toll. Checking out his fight record, you will see how frequently he fought, especially early in his career. Currently, Alistair is on pace to have at least 60 MMA fights by the time he retires. One could wonder how well he could succeeded if he was blessed with an iron chin like Roy Nelson or took more breaks between fights to rest his noggin. 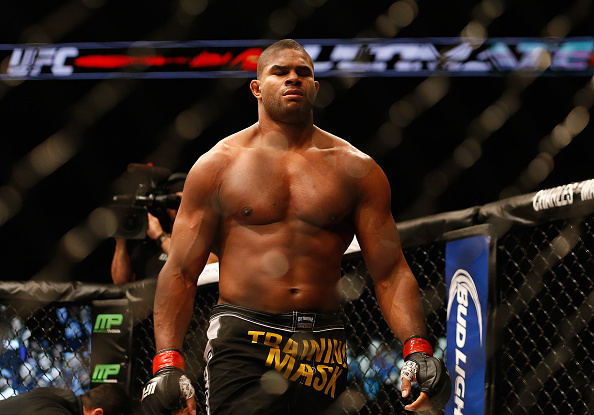 What made Cain so special for the UFC heavyweight division was his unbelievable cardio. He could keep a relentless pace that is not common for such big guys. While his opponents may be huffing and puffing, he was able to recover between rounds and move like a guy that should be in a lighter weight class. Looking into his background, you can find out that Cain brought his Division I college wrestling experience to the well-known American Kickboxing Academy (AKA). So after training with high level wrestlers like Ryan Bader and C.B. Dollaway in college, Cain gets a training partner in Daniel Cormier at AKA. How fortunate is that! With these experiences, there is no surprise that his grappling skills is a major part of his success. Cain’s triumph in the UFC also comes from his dirty boxing tactics against the fence that is reminiscent to Randy Couture’s fighting style. The success of this strategy was prominent in Cain’s fight with Junior Dos Santos. Fabricio Werdum is not simply just a black belt in Jiu Jitsu, he is one of the best grapplers in MMA. Any fighters watching his previous matches should know better than to go to the ground with Werdum. Highly confident in his grappling skills, Werdum would sometimes fake getting hurt from a strike in order to sucker his opponent to go to the ground with him. In addition to that, he is the first and only person to ever submit Fedor Emelianenko in MMA. To become more well-rounded, Fabricio developed his strikings skills under the tutelage of Rafael Cordeiro at Kings MMA. As time passed, his stand up game start getting consistently better. This was evident in his match with Cain Velasquez where Werdum was getting the upper hand on Cain in the stand up portion of the fight. This resulted in Cain unwisely shooting for a takedown. 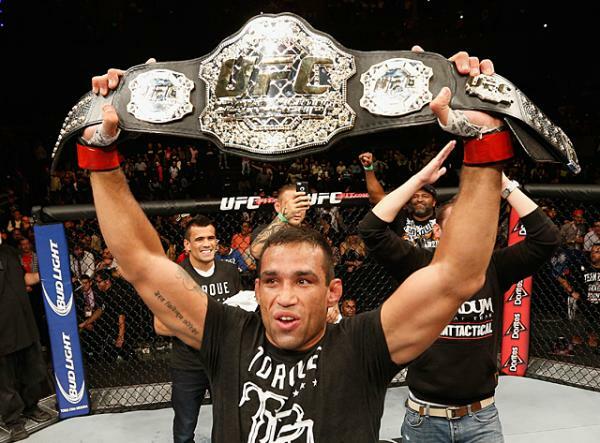 Werdum immediately grabbed for a guillotine choke and squeezed tightly until that Heavyweight title became his. Similar to another fellow Brazilian named Mauricio Rua, Vitor Belfort vehicle for victory was by the destructive use of his striking ability. As noted by his fight record, a majority of his wins consisted of knockout finishes. Vitor showed up to the UFC scene and won their heavyweight tournament as a 19 year old, which resulted in Vitor earning the fitting nickname of “Phenom.” He is a tough fighter who only lost to the biggest names in MMA. Forever cemented with his highlight reel will be his fight with Wanderlei Silva where he stormed forward like a bat out of hell while throwing a flurry of punches and winning the match within the first minute. What made Vitor great besides the aggression and mental fortitude exhibited in his fights is his willingness to evolve. One example of this is his knockout win over Luke Rockhold via a spinning back kick to the head, which was not part of his arsenal previously. Rampage is notorious for his spectacular wrestling takedowns and slams. He often would lift his opponents above his head and then proceed to bring them down with a vicious slam. Rampage even got out of submission attempts with these tactics. One of the most famous moment of Rampage’s career was when he tried to get out of Ricardo Arona’s triangle submission attempt by doing exactly this. The result was Ricardo being knocked out cold while Rampage runs around celebrating his victory. Although Rampage threw kicks during standup exchanges from time to time, it was his love for punching and the tremendous power he had in his hands that provided many of his victories. He demonstrated this power when he knocked down Chuck Liddell and finished him with some ground and pound to win the UFC light heavyweight title. 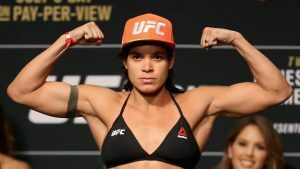 After defeating the much-feared Cris Cyborg at the UFC 232 co-main event to become the first woman to hold a title in two divisions simultaneously, there is no doubt that Amanda Nunes deserves a spot on this list. With technical striking, knockout power, and masterful grappling, Amanda Nunes is now the the woman to beat in women’s MMA. Wanderlei Silva may have the best fitting nickname due to how he fights. Back in the Pride days, he was easily one of the scariest fighters that competed in the organization. The way he would aggressively stare down his opponent across the ring and continuously wring his hands was a sight to behold. Wanderlei matches were always guaranteed to be entertaining because of his willingness to trade and go to war with anyone in front of him. His style consisted of constant forward movements that pressured his foe backwards like a predator stalking his prey, while keeping his chin down and ready to throw vicious hooks at all time. If he smells blood or sees weakness, it is game on and there will be no holding back. Randy Couture is one of the rare fighters to become UFC champion at two different weight classes. After having a successful Division I collegiate wrestling experience with All-American honors, Randy continued to develop his grappling skills by training in Greco-Roman wrestling and competing in multiple Pan American Championships. Randy’s high level experience in wrestling allowed him to use a tactic that he popularized, which is dirty boxing against the cage. If he was not trying to take his opponent down, he would pinned them against the cage and use these “dirty boxing” tactics to throw short powerful shots in the clinch. One of the most inspiring fact about Randy is how he reclaimed his UFC heavyweight title in his 40s. He also showed the world the huge difference between MMA and a combat sport specialist by defeating former world champion boxer James Toney in 2010 with relative ease. 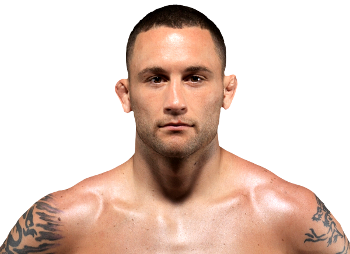 Frankie Edgar surprised the world when he defeated B.J. Penn and won the UFC lightweight title. B.J. Penn just smashed Diego Sanchez prior to the fight and many fans believed B.J. was going to be unbeatable. Not only did Edgar beat B.J. for the title, he had back to back victories against B.J. Normally, many of the top MMA fighters had unique physical attributes and cut large amount of weight in order to be the bigger person inside the cage. Edgar on the other hand was completely different. As an often undersized fighter who rather compete at his walk around weight, it was an impressive feat when Edgar continue to be a champion while being overwhelmingly smaller than his opponents. Frequently giving up reach and size, he has great sense of timing for takedowns and works at a ferocious pace to surpass these shortcomings. In Edgar’s second fight with Gray Maynard, he was able to survive Maynard’s haymakers and display to the world his true character and toughness. 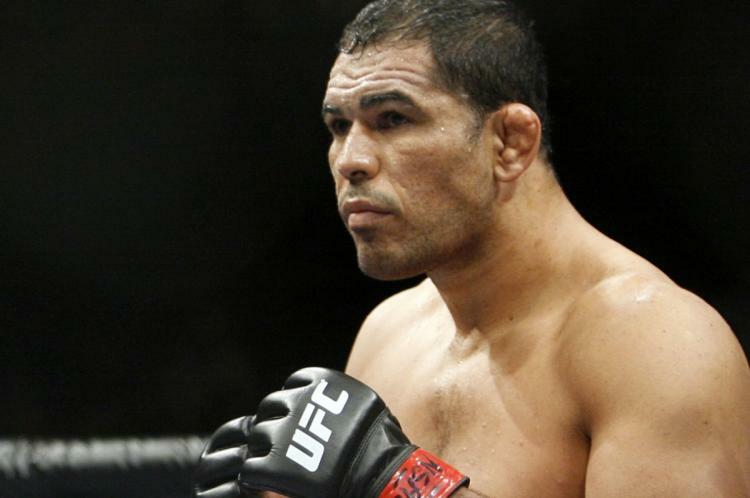 Antonio Rodrigo Nogueira is one of the few fighters that was able to earn the Pride and UFC heavyweight titles. He went to war with some of the biggest names in both organizations. In his prime, Minotauro had one of the best grappling skills in his division. This is also obvious when you look at his MMA fight record and see that he accumulated over 20 submission wins. As a black belt in Judo and Jiu-Jitsu, he had the standing and ground aspect of submission grappling locked down. Furthermore, he was always actively trying to sweep and go for submissions, unlike other MMA fighters who hold and stall their opponent in closed guard and wait for the referee to stand them back up. In July 2016, he deservedly got inducted into the UFC’s Hall of Fame. 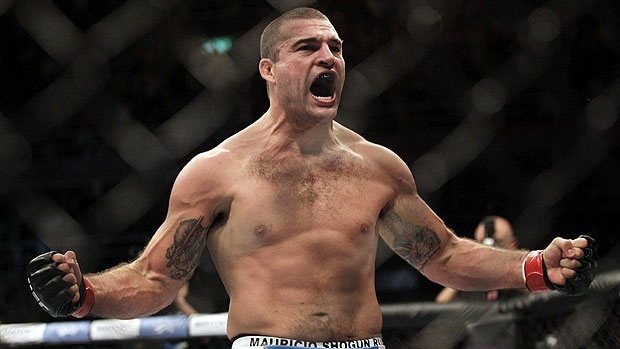 Shogun Rua is a fan favorite for those individuals that followed the Pride Fighting Championships and his current journey in the UFC. He is an aggressive fighter that maintains a high rate of wins by knockouts via the use of his superior striking skills. Despite being a black belt in Jiu-Jitsu, he will often choose to punish his opponents with heavy hammer fists when the action hits the ground, instead of going for the submission. 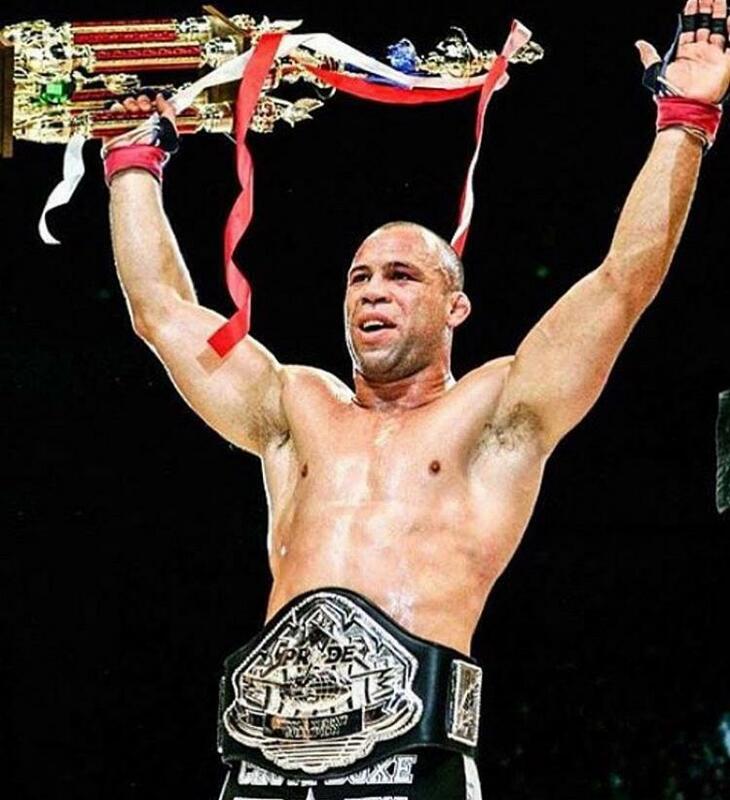 Shogun trained at the famous Chute Boxe Academy in Brazil with Wanderlei Silva. With a training partner like that, it is no wonder he showed such a tenacious demeanor and the willingness to brawl with anyone. 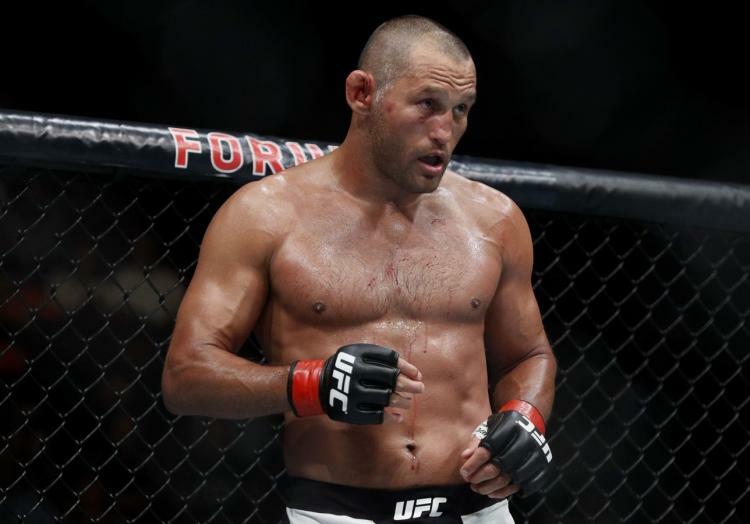 The overhand right is a staple in Dan Henderson’s arsenal. Even with an Olympic level Greco-Roman wrestling background, he grew to love the natural knockout power he possessed in his right hand. It also did not hurt that Henderson had an iron chin to complement it when a brawl ensued. One of the best examples of these attributes were his fights with Mauricio Rua and Fedor. In these fights, Henderson was able to withstand their barrages, which would have been tough for any other fighter to endure, and eventually turned the table against them both. Henderson became a champion in almost every major organizations he joined. Only the UFC title has eluded him. In Dan Henderson’s last fight, he managed to knock down Michael Bisping multiple times as well as got close to finishing him. If that event occurred anywhere else but England, he may have well been one of the most successful fighter of all time.